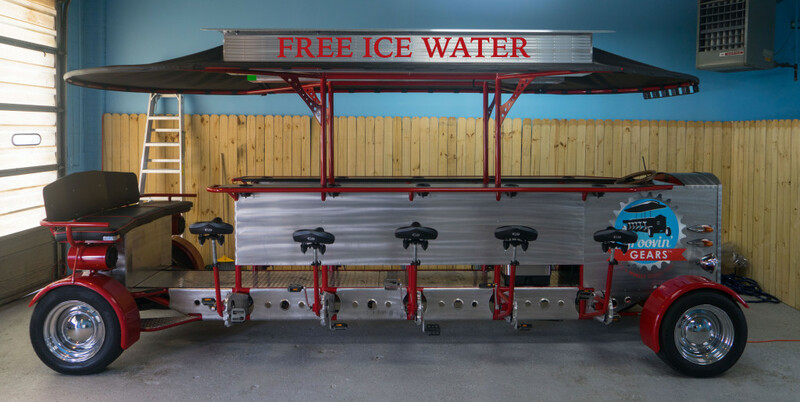 In collaboration with 1708 Gallery, John D. Freyer presents Free Ice Water: Recovery Ride. This alternative bicycle tour corresponds with the UCI’s Conquer the Cobbles ride on Friday, September 25th from 6-8pm. The riders will shadow the UCI World Championship course in several places, including through the Arts and Culture District, and will also escape the crowds to visit unique points of interest on the artist’s own recovery journey. Riders can join the artist on his 16 passenger Water Wagon Bicycle, ride their own bikes along the route, or ride one of the Richmond Rides touring bikes made available for the ride. 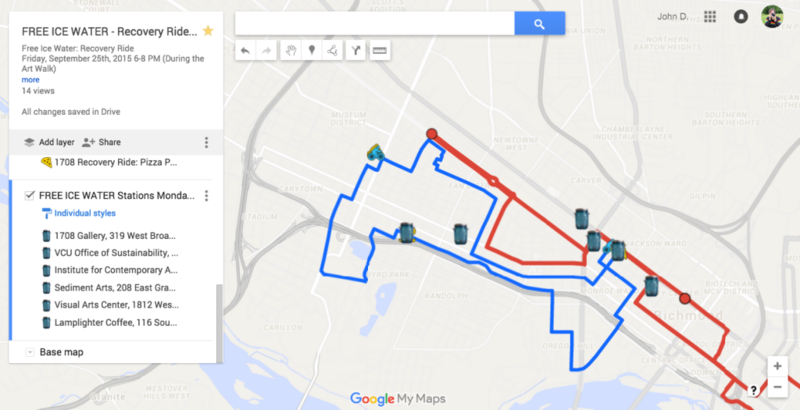 The eight mile ride will start and end at 1708 Gallery in the Arts and Culture District and will also make stops in Oregon Hill, Byrd Park, Carytown, the Museum District and the Fan. Refreshments will be served at numerous locations along the way.